TTC and the BMI Myth – Let’s Talk about It! The BMI myth is when women are led to believe that they shouldn’t become pregnant unless their BMI is under a certain number. I’ll never forget the conversation I had with my OB-GYN when I wanted to start a family. She pulled out the dreaded BMI chart and advised me to drop a ridiculous amount of weight before trying to conceive (TTC). In return I tried yet another crash diet and gained even more weight. I firmly believe a woman’s BMI should not be the only indication of whether or not she is ready to start TTC. Her overall health (physical and mental) is far more important. My OB told me to start in 10% increments. We were trying for a little over a year with no success when I went to see her. She told me to start off by trying to lose 10% of my weight and see if that helped. If it didn’t try and lose 10 more. If that didn’t work we would start discussing infertility. In my eyes, 30 lbs is a whole lot more manageable than “You need to get down to 140 lbs”. The first 30 lbs worked! Unfortunately, it ended in a m/c and through depression I gained all the weight back. Then instantly got pregnant again (it stuck this time! ), and have had a relatively healthy pregnancy. My high risk doctor told me I needed to stop eating so much fast food. I told her I didn’t, we go out to eat maybe twice a month. She told me I was lying and she can tell what kind of crap I ate by my weight. She said if I was eating healthy I wouldn’t gain any weight in pregnancy and she made me feel like crap for gaining (in her words) an enormous amount of weight in a short amount of time. I had gained about 2 lbs and was a month or two into my 2nd trimester. Yeah, she got fired real quick. 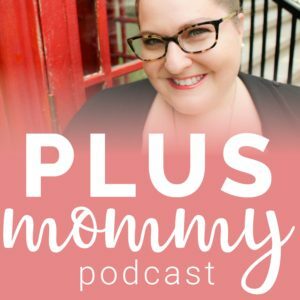 When my husband and I started trying 2+ years ago to have a baby, I weighed 380 bounds. I was, of course, told to loose weight. I lost 95 pounds (I’m still at 290 currently) and I was recently told in order for me to have kids, I’m going to have to have gastric bypass. (We even looked into surrogacy and in order to do that, my BMI is still too high, so I will need to get gastric bypass) I am so frustrated with doctors always assuming that because I’m overweight, that is the main reason I can’t conceive. I think they are putting WAY to much emphasis on weight. I know this is an old post. But I’m new to this sight and just wanted to give some encouragement. I am currently at 335 lbs. Started at 325 and currently 30 weeks pregnant with my second son. Had my first son 4 years ago. Miscarried about a year ago in september. My first ob was more concerned about me losing weight and my bp was high and I ended up developing preclampsia… this time around everythings been smooth except for my bp being high. But no signs of preclampsia. I guess i just wanted to say every pregnancy is diffrent. Every woman is diffrent getting pregnant is scary lol but amazing all at the same time. I remember praying every night before bed for the chance to be a mom. Then bam it happend, being patient was the hardest part. But totally worth it once your babies born. Thank you so much for sharing Amber! Thanks for the encouragement! I totally needed it! I’m currently about 310lbs (ugh) and TTC. I pray all the time and firmly believe that God will give me and my husband the desires of our hearts if we remain faithful. I had such a similar experience. I was seeing a new gynocologist who also happened to be a midwife. I was automatically assigned to her when I called the Women’s Center to make an appointment — so it wasn’t like I selected her. Anyhow, when she told me that she’s also a midwife, I expressed delight in this because I thought it was very neat that I was assigned to her considering my interest in using one (eventually). That cut deep! I just nodded and said that’s a bummer, and we finished the appointment and I left. Obviously, I’ve never forgotten about that appointment and what a SHAME that it was my first experience with a midwife! I still 100% plan to use a midwife and a doula and have as natural of a birth as is safe for my child and I, but I know it may be one hell of a process finding someone that doesn’t judge me by my size. I didn’t know that other women have heard this exact thing about BMI before, so I’m glad to see that you had such a wonderful experience despite the totally not helpful “advice” from your OB. I know this is a old post, but I just ran across it and am currently up against the BMI chart. My husband and I have started on the IVF route after TTC for over 7 yrs. At our consultation the Doctor of course looks at my form, sees that my weight is 225 and tells me that I need to lose 10lbs, because my BMI is too high to have anesthesia. “Umm.. really?!?! ?” I’m pretty sure I had anesthesia when I had weight loss surgery a long time ago and my weight was well over my current weight. I exercise daily and eat whole foods. I wish I knew why my weight doesn’t move, but it doesn’t. 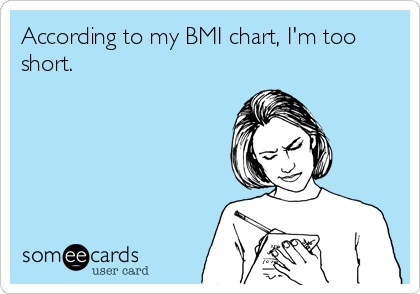 Plus, it just makes me so angry that Doctors see the BMI chart as the “gold standard”. I am probably more healthy than someone that is 145lbs. Grr.. it just makes me so mad! They really need to look at the whole person, not just weight and height. My, my, I think what you experienced is exactly why the website, “My OB Said What” is so popular. Holly I encourage you to check out Health At Every Size if you have yet to. It encourages people of all sizes to lead healthy lifestyles without focusing on weight loss. I feel the same. I had weight loss surgery as well and for the most part exercise and eat healthy every day. I see thin. People who only eat junk and never lift a finger to exercise and I’m supposed to believe they sewin better shape then me because they are a little thinner? I was able to get pregnant at 250 with my son but battled secondary infertility after him when my weight went up to 300 and I stopped ovulating. They wouldn’t do fertility treatments due to my weight. I lost back to 250 and started getting regular menstrual cycles again but I’m not going to wait until I lose more to start trying again. It is crazy. I’m sure they won’t do fertility treatments now if I don’t get pregnant even though I got pregnant at this weight before and had a fairly normal pregnancy with little weight gain. I did develop preeclampsia at 34 weeks and had to be induced at 36 weeks but you would think ever plus size woman is a ticking time bomb the way some people talk. But I am 32 and I know that I don’t have much longer to have a baby safely, and I am all alone out here just me and my husband as well the rest of my family lives in America. I have had to deal with some bullying at work recently because of my weight and now all the doctors do it look at me like there is something wrong with me for wanting a family! I am kind of at my wits end! I don’t know what to do and don’t know who to talk to about it. It seems like as soon as someone sees my BMI they just dismiss me like I don’t exist! I guess I just dont know how to feel anymore… is there something wrong with me for wanting a family just because I am bigger…. how do I get past it all. what do I really need to do realistically to start a family?? I guess I just need some guidance and help that doesn’t start with well if you lose 130lbs. you can have a baby no problem! I was about your size when I got pregnant with my son, so don’t worry it is possible! My doc told me to start off slow. Try losing 10% first. That was about 30-35 lbs. and it helped. I figured I wasn’t doing anything anyway so I might as well try to loose some weight. I know it’s hard, but keep trying. Can you go to a different doctor? For me, taking away the timeline helped me de-stress. You’re only 32! You have plenty of time left!